Hemmings is the world’s largest collector car marketplace. Its humble roots started in VT but has grown into an international business that supports collector car traders and enthusiasts around the world. Redline Design Group was hired to create a one-of-a-kind facility for members to congregate, talk cars and rent & drive different cars that pique their interest that month. Redline produced the conceptual prototype, along with photo-realistic 3D renderings for use in investigating market feasibility and interest. 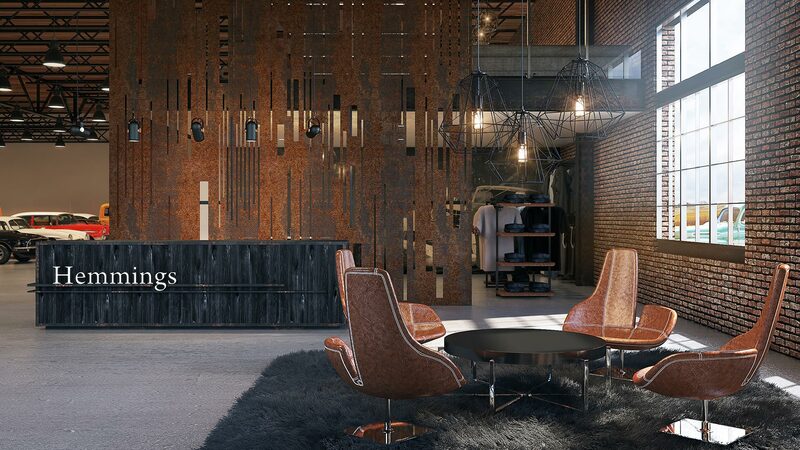 This prototype recreates the feel of a historic building with brick facades and warm interiors to help amplify the historic nature of the vehicles within the space. 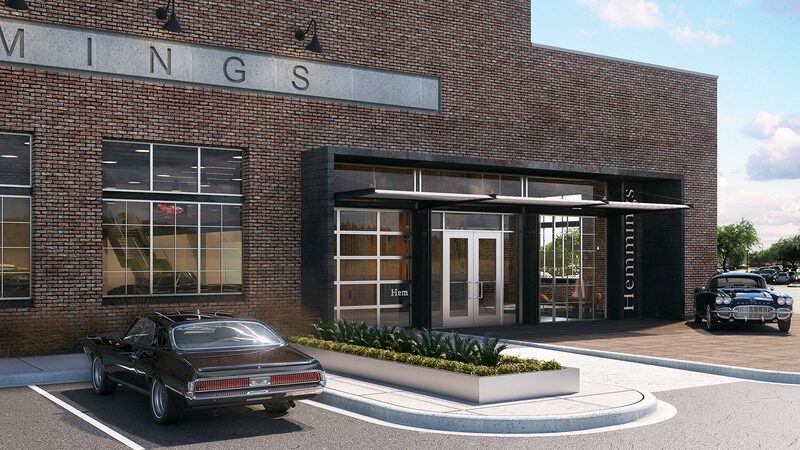 The light fixtures, pre-cast concrete building signage, dark steel structure, entry feature and raw/rusty steel screen wall all take cues from the “good old days” when cars were fast and life was slow.